Children love Les Gets and skiing as a whole family is a great way to share the thrills (and spills) of this fantastic winter wonderland. What better way for everyone to get out into the fresh air and burn up some energy! Children love the sense of freedom as they effortlessly snake down the slopes, rewarded for the physical challenges of their first week at ski school in Les Gets. For parents, making informed decisions about the many aspects of winter family holidays can be a bit tricky, so hopefully the information shown here will answer commonly asked questions regarding skiing with children in Les Gets. Before your holiday. For beginners an introductory session at an indoor snow slope can be really beneficial, even if it's just to familiarise your children with ski equipment. Young children especially may be nervous about their first ski experience, so a trip to the local ski centre to watch older siblings may help to alleviate these concerns....and build the excitement! What age is best for kids to start skiing? Usually around 4 years is a good age to start and most children of this age are happy to be left with an instructor. However, if they aren't happy after the first hour or two, it may be best not to push it and wait until the following year. How should children spend their time skiing? 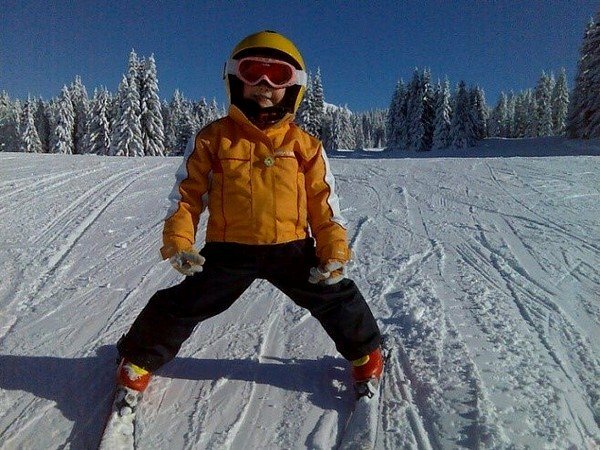 Whilst ski lessons in Les Gets are vital during the first few holidays, it is also important for children to have practice time allowing them to consolidate what they learn in ski school. Make sure you discuss with the ski instructor how to best spend the time outside lessons and which slopes/lifts to use. What progress to expect. Unsurprisingly, different children progress at different rates and there can be many different factors, including age/sense of balance/physical and mental strength/confidence levels...and of course the standard of tuition provided. During the first week of skiing, young children (under 6) will usually start to get the feel of holding a 'pizza wedge' between their skis and may start to make some basic changes in direction. Older children will very often be making comfortable snowplough turns on gentle slopes and learn to use some ski lifts. Should kids and adults have shared lessons? The simple answer to this is 'no'. Children (especially younger ones) learn in very different ways to adults and also tend to be more 'self-sufficient' when mum and dad aren't around. Shared private lessons between parents and older children can be successful but it's vital that the grown ups switch from 'parent' to 'pupil' mode, giving their kids the freedom to learn (which involves making mistakes). Leave the instructor to be responsible for the safety of your children! Group or private lessons? Under 6 year olds need a lot of individual attention, primarily to keep them safe, but also to help give them the balancing skills and confidence of learning to slide for themselves. So, unless you find a ski school which offers group lessons for small groups with multiple instructors on hand, I would recommend private tuition to start with. This will be a more expensive option than group lessons but in just an hour per day your little one will be kept safe and happy and pickup the basics really quickly. For children aged 6 and above, group lessons in small classes may be a good option. A maximum class size of 6 children usually provides a good balance between cost, individual attention and social interaction within the group. Private lessons for small groups of similar age age/level of children can also work really well and also keep the cost down. Priorities for your children's ski lessons. Make sure they're SAFE, ensure they ENJOY themselves....and with the correct tuition, they will LEARN and IMPROVE. 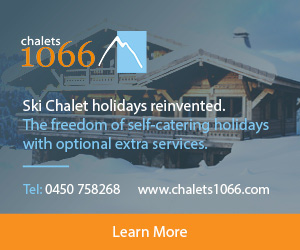 Tim Scott is a ski instructor in Les Gets where he runs the British ski school LGS.